Diarrhea at least once in your life happened to all the dogs. Often the owners do not give it much importance, thinking that the pet is secretly just picked up on the street some stale piece. Meanwhile, diarrhea can be a sign of a serious problem. Diarrhea from dogs may occur not only because of poisoning spoiled food or eaten on the street with poison, but also in cases of infection with enteritis, distemper, hepatitis and other viral diseases. It also sometimes occurs due to disease of the liver, pancreas, parasitic infestations, dysbiosis. Therefore before to treat this symptom, we need to find out the cause and eliminate it. And this should show the dog the veterinarian who examines the animal and put an accurate diagnosis. He will develop the required treatment plan.While infections and other serious cases, an expert assigns a special antiviral drugs and supportive therapy. If it's not too serious, the owner himself can cure diarrhea in your pet.The first day after the start of diarrheaand the dog is in any case impossible to feed. Her body was not dehydrated, pour it in the mouth of a disposable syringe without a needle solution "Regidron" and let adsorbents, for example, "use adsorbents", "Enterosgel" or "Polifepan".If the diarrhea does not recur, did not appear vomiting, the next day you can feed your pet rice water or special medical food. The next two weeks the animal is necessary to give special veterinary preparations with bifidobacteria and lactic bacteria to restore the intestinal microflora. 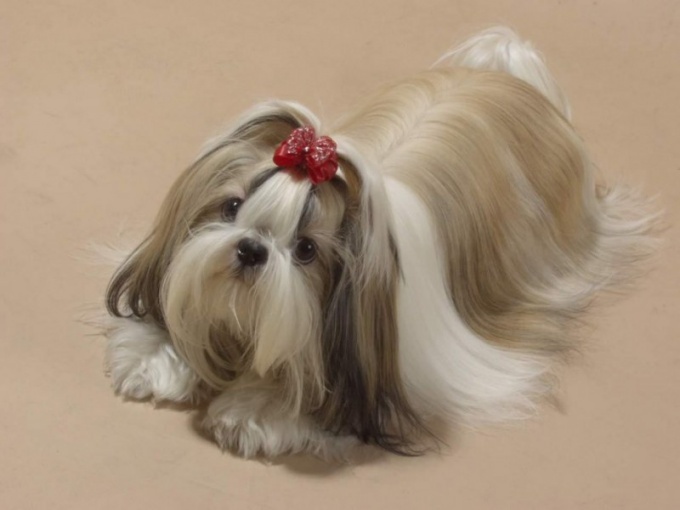 You can do "Laccopetalum" or to consult a veterinarian who will recommend a different tool.In order to prevent the occurrence of diarrhea in dogs, time to let her antihelminthic drugs, vaccinate the animal against viral infections, feed only fresh and high quality food, carefully select dry food. Better not to experiment: if a particular food fits the animal, let it do not change. On the street don't let the dog to pick up something from the ground, but if it happened once Skamania "Yuck." Otherwise, the dog can seriously poisoned.